There are currently 46,734 users on this website. I have been referencing the forums here for about a week now and finally decided it was time to join. My husband and I have been collecting pocket change for about 3 and a half years now. We never looked at the gobs of change in our pockets, just came home and emptied them into a large 3 gallon jug. Anyhow, we recently decided to turn it in, since it was over half full, but I decided I should go through it before we turn it in at the bank. I have come across several questionable coins, which I will post later, but yesterday, I found a 1980 (my birth year) Washington quarter. It is a beautiful specimen, and the shine is actually what caught my attention. Considering its age, I wouldn't think it would have looked so good. 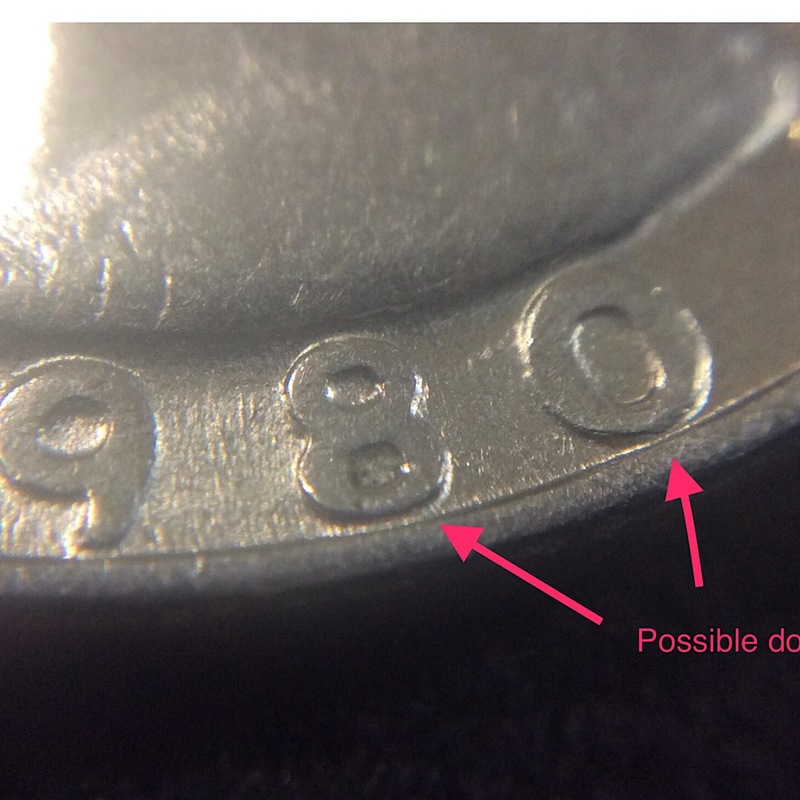 Ok so, I was getting up close and noticed the mint mark, I first thought it was a d. So I broke out the magnifying glass, and noticed a little difference. So I got the microscope to really zoom in, and now I'm not sure what to make of it. Can someone please help me out? I would appreciate the feed back. Not seeing a DDO,doubled die obverse. Not seeing a RPM,re-punched mint mark. Looks like worn die,aka DDD and circulation flattening. Looking forward to your other finds. To CCF! The mint mark is showing Post Strike Damage ( PSD). 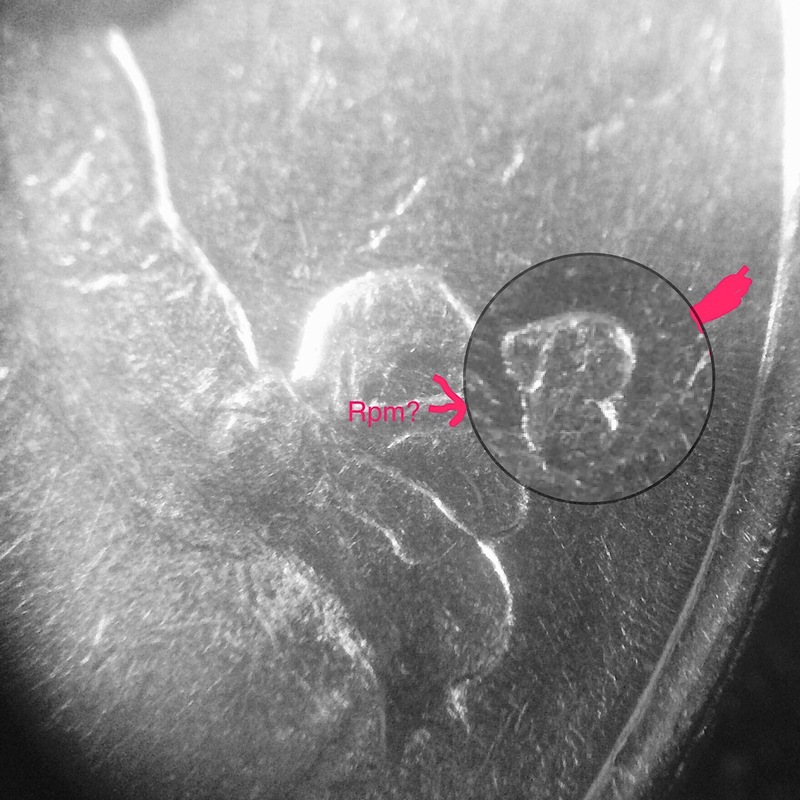 Your Quarter shows Die Deterioration with die flow lines flowing to the rims outwards. This is not an error, just a normal part of the minting process. The die slowly breaks down from normal wear and tear, from striking a ton of planchets at the U.S. Mint. Your coin is only worth face value. Probably suffering from vending machine damage. The mint mark is flattened.